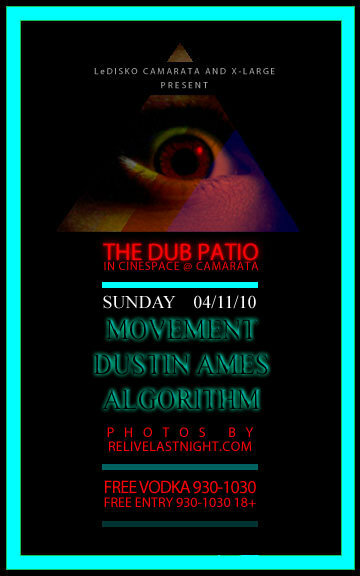 Sunday, April 11, I’m pleased to be named a resident of Dub Patio at Cinespace in Hollywood. I’ll be headlining at 11:30. I know it’s a Sunday night, but it’s also Hollywood, where apparently, there are no weekdays. If you email your name to RSVP (at) breakofdawn (dot) org, you get in free until midnight. Posted in Gigs, Los Angeles, Music.